Welcome to our new weekly feature, where we spot some of the most impressive, double-take-inducing cars seen this week. We’re not talking about expensive Beemers that blend into the background; we mean cars that showcase some fun, some style, some panache. Hopefully, these cars will help you glide toward Friday. 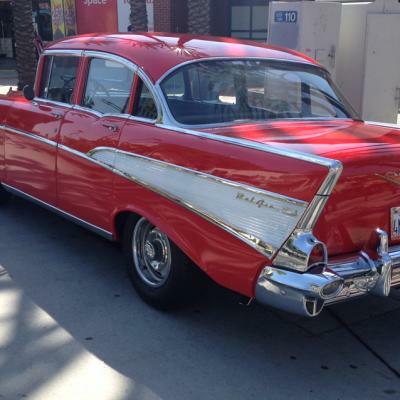 Click on the pics for larger images and send us your own favorite cars by emailing ladriver.lamag@gmail.com (we need your help getting more neighborhood-diverse vehicles, please!). 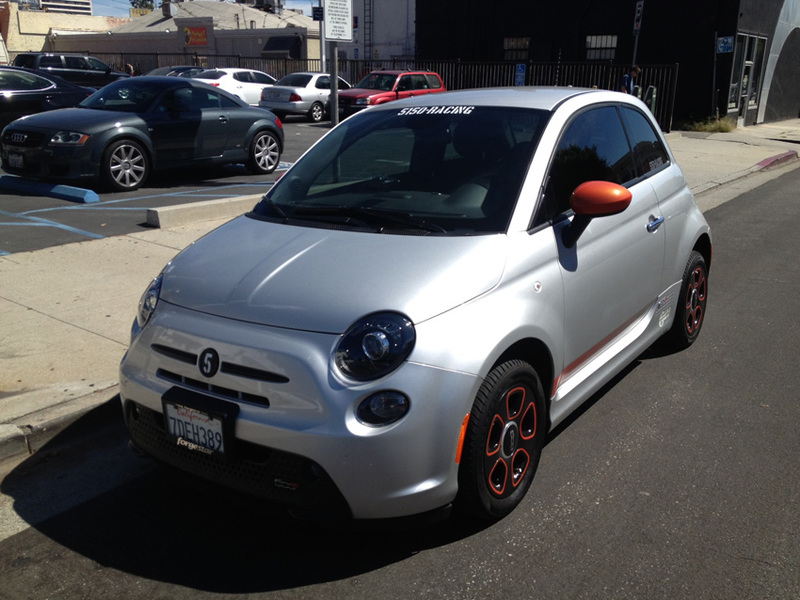 A shiny, tiny Fiat, with orange rims and mirror, will brighten any dreary day. 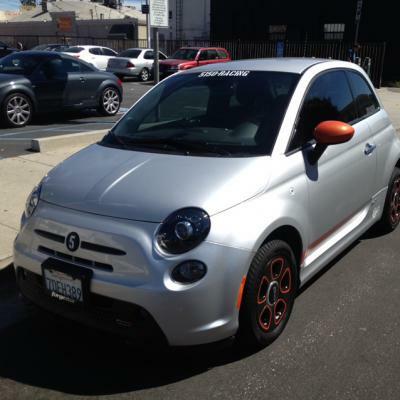 This adorable city car earns its cred as a green machine by being electric. The only thing that would make this better would be if Jennifer Lopez got out of it. 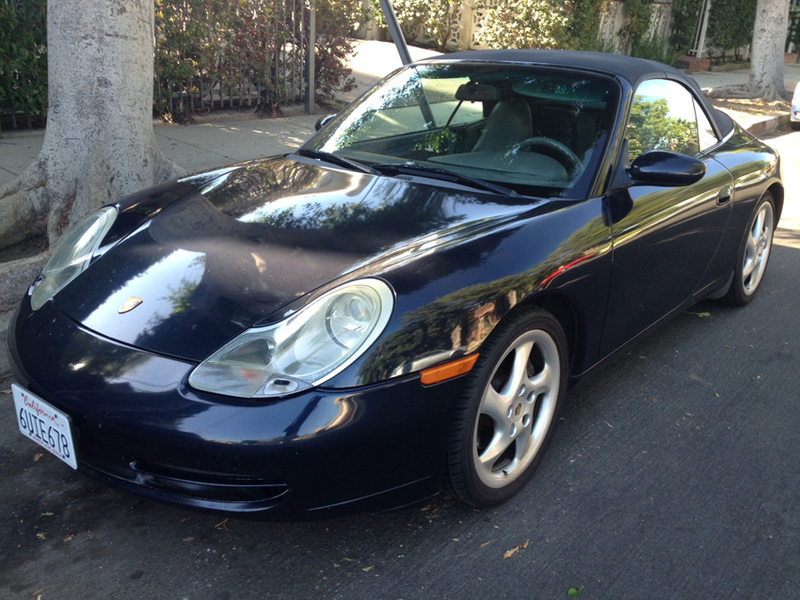 This Cayman or Carrera or 911 was quietly sitting on a residential street on the edge of Santa Monica. 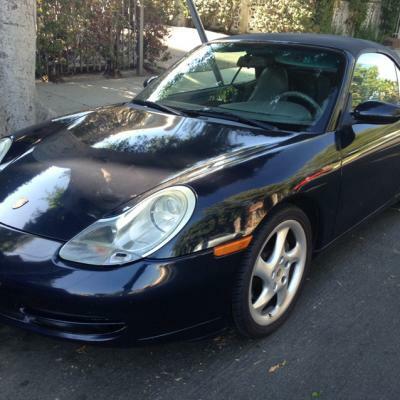 Neither brand-spanking new or old enough to be vintage, this mystery Porsche remained, by far, the prettiest thing on the block. By the looks of it, it will remain that way for the remainder of its life. This baby stopped us in our tracks. 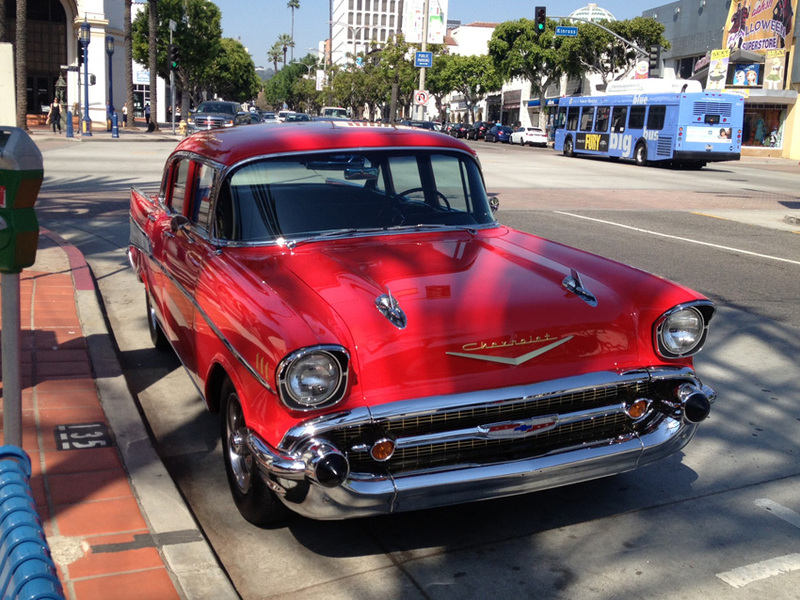 Perched on Westwood Boulevard (see the front side above), this classic car was seriously gleaming. 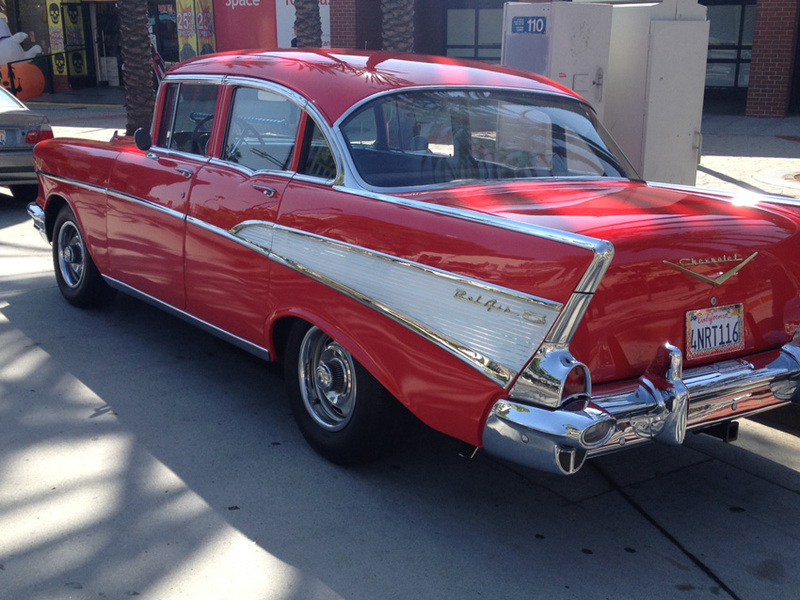 This sedan would have fit right in on the boulevard a half-century ago, with Elvis blasting out of the speakers.